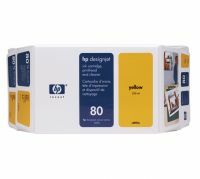 C4892A The HP 80 Value Packs contain a 350-ml ink cartridge, printhead, and printhead cleaner. These components ensure peak performance from the printer and unsurpassed printing speed for technical applications. 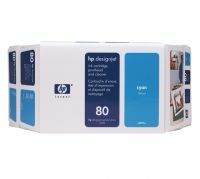 Designed as a modular ink system, HP 80 Ink Supplies include the first printhead to use HP's new Jetexpress technology for printing up to six times faster (in draft mode) than HP Designjet 700 series Printers. 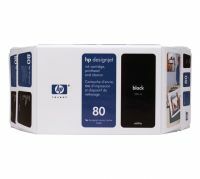 To Recieve updates and possible rewards for Hewlett Packard (HP) HP 80 Value Pack 350-ml Magenta Ink Cartridge and Printhead please sign in. To Recieve updates and possible rewards for Printer Cartridge, Ink & Toner please sign in.